We’re excited for Printed Matter’s Art Book Fair opening this Thursday from 6pm - 9pm at The Geffen Contemporary in LA. Check below for more information on whats going on throughout the weekend and what event’s we’ll be apart of. 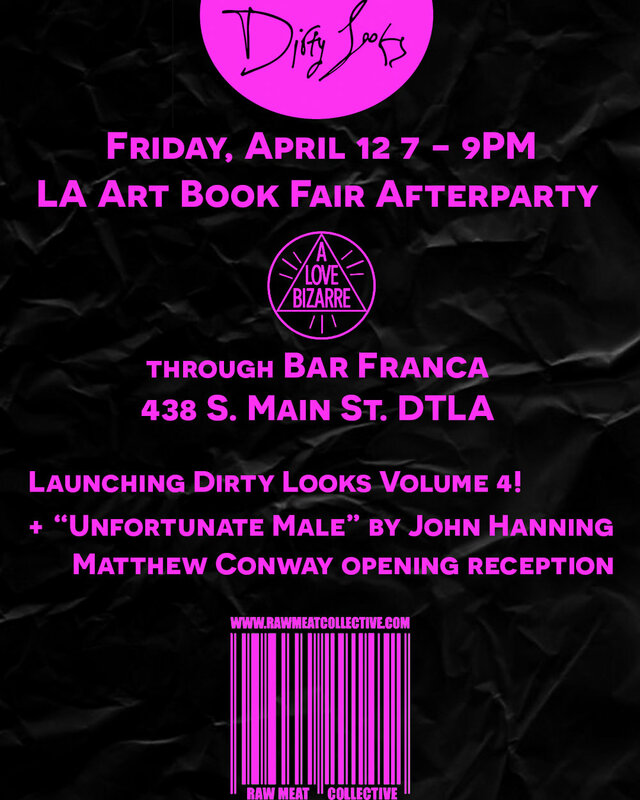 We will be hosting a after party Friday evening with our friends in Dirty Looks, as well as, a book signing with John Hanning happening on Saturday. Join us where ever you can!